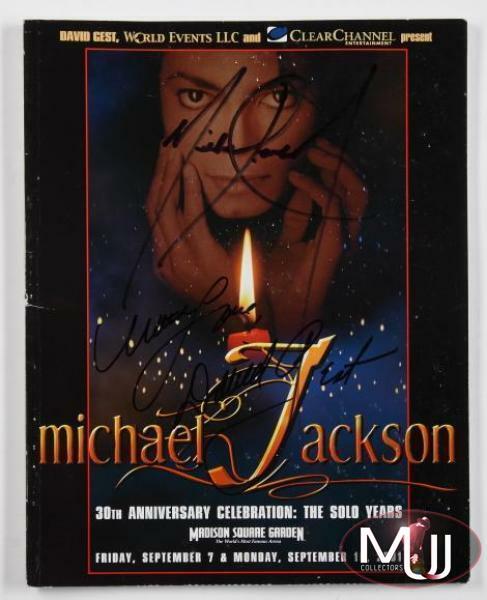 A program for the 2001 30th Anniversary Special Concert at Madison Square Garden, NY, signed by Michael on the front cover. Sold by Julien's Auctions (Lot #430) for $11,250 at their 2010 "Legends" auction. All screen captures are the property of their respective owners. MICHAEL JACKSON BRAND NEW OPUS BOOK FOR SALE!!! !